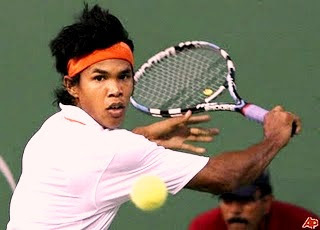 Somdev Devvarman or Somdev Dev Varman – is a tennis player from Tripura, India and was born in Guwahati, Assam, on February 13, 1985. Somdev is the first tennis player in the world to win the gold medal at the Commonwealth Games in men's singles tennis and the first Indian to win a gold medal in the men’s singles tennis event of the Asian Games. He won the gold medal at the Commonwealth Games 2010 in New Delhi, India and created history by winning a gold medal at the Asian Games 2010 in Guangzhou, China. He is also the second (2nd) tennis player from Assam after Bidyut Goswami to make it to the world tennis. Devvarman belongs to Tripura’s erstwhile royal family. 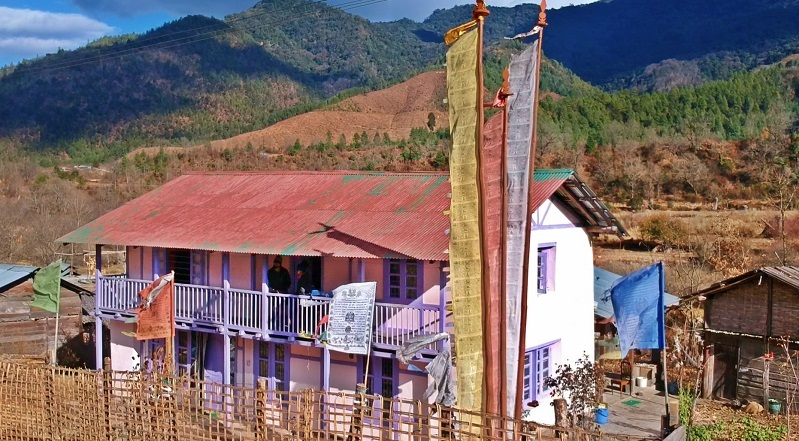 He is the grandson of Tripura's late royal scion Bikramendra Kishore Debbarman, popularly known as Bidurkarta. His father is Mr. Pravanjan Devvarman, a retired income tax commissioner. Somdev grew up near Chennai. In 2005, he went to attend University of Virginia in USA. He earned a sociology degree in May 2008. Devvarman started his journey as a tennis player at the age of nine in Chennai in 1994 and after learning the basics he made it to the Britannia Amritraj Tennis Academy in 2000. In 2002, at the age of 17, he competed in his first tournaments in India. His biggest achievement during this time was a victory in the Kolkata F2 championship in 2004 after which he rose to 666 in world ranking. He got into full time tennis and turned pro in 2008. While studying at University of Virginia, Devvarman won the ‘2007 NCAA Singles Championship’ and ‘2008 NCAA Singles Championship’. With these titles, he became the 13th player in the 124-year history of the ‘NCAA Singles National Championship’ to win consecutive titles, and just the fourth to do so in the past 50 years with an unprecedented 44-1 record in 2008. He was named ‘ACC Men’s Tennis Player of the Week’ in Virginia in 2007. Apart from winning Gold at the Commonwealth, 2010, and Asian Games, 2010, in the 'men's singles', Somdev had also won the 'mens's doubles' Gold on Nov 22, 2010 with partner Sanam Singh at the Asian Games. Somdev has played many national and international games and tournaments including ATP, Wimbledon, Australian Open, US open, etc. He is the member of India's Davis Cup team. In 2007, he made it to the Davis Cup squad for the Asia-Oceania group. He made his Davis Cup debut in February 2008 against Uzbekistan player D. Istomin in Delhi. His current ranking in the international level is 95. He is the first Indian to reach the final of the ‘Chennai Open 2009’. Good information. i am so glad that my blog is used as a link to this matter.i am a sports journalist in kerala who are watching somdev more deeply. today he gave us CWG gold also.